The last race I entered got canceled. And this time, a trio of health and medical problems wrecked my training and my body, including nursing a broken arm from a mountain biking accident three weeks ago. But every year or so I have to do a race, whether I need it or not. And apparently I do need it, more than I admit. I guess my last race was back in 2014, at the Blue Ridge Burn 10K in the Blue Ridge Mountains outside of Charlottesville, Virginia, where we got attacked by hornets on the course, but still finished strong and had plenty of fun afterwards. Before that, my wife Jasmine and I competed in the Frisco Mountain Duathlon. We took second that year in the couples’ citizen field, not like it was that competitive, but it was a great day. Fast forward to 2017 and I’m a dad now (little girl, just 11 weeks old) and I’m 45 years old. I’m typically out competing or even just trying to keep up with a lot of guys ten years younger than me. But I’m also inspired by my athlete friends and mentors who are my age or older. Hell, Lance is my age; Rob Krar is 40; the great Cara Marrs from Steamboat Springs is “our age” as well. I really didn’t think I was going to run when I suited up and went down to the start. As I tossed and turned the night before, as one does before races, my mind was on my gear and on my body. It was on my past, on my ego, and on my future as an athlete. I got up and got dressed for a race like this as I typically would—analyzing every ache and pain. Maybe bumping into my buddy Brian Metzler at the start helped motivate me, but for whatever reason, I just started running. And I was feeling great, almost forgetting about the annoying cast on my left arm. I just ran at a pace that felt good, and interacted with plenty of other friendly folks throughout the race that also weren’t out there to crush, but just to run, and each had their own reasons for running, and their own aches and pains. The seventh annual Aspen Backcountry Marathon & Half Marathon went off without a hitch, under perfect weather, running last year’s rocky singletrack course in reverse—on steep high-country trails with challenging ascents and descents and a wide diversity in conditions and terrain, draped in views of the Elk Mountains. The marathon gains more than 4,000 feet (only 2,000 for the half), and the first male and female finishers were awarded $600. Second place received $400 with $200 for third place. The first male and female finishers in the half marathon were awarded a $150 adidas Outdoor gift card. A “King/Queen of the Mountain” prize of a $250 gift card from adidas Outdoor was also awarded to the first male and female marathoner. 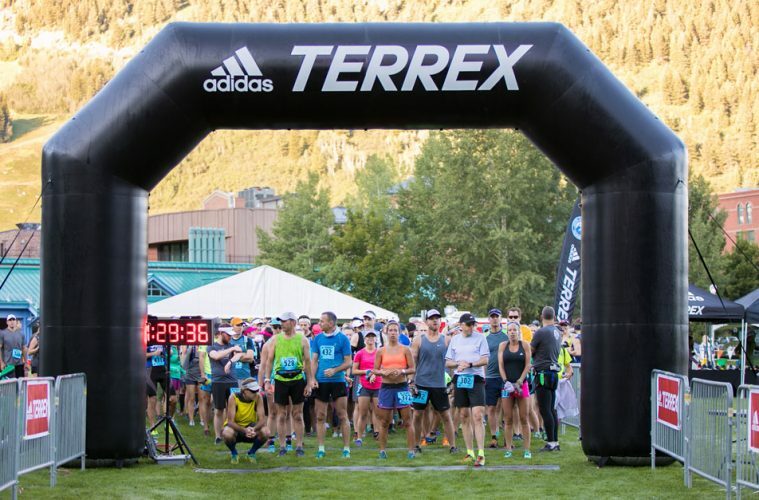 Additionally, a $150 adidas Outdoor gift card was given to the top three marathon finishers in each of the six age groups (19 and under, 20-29, 30-39, 40-49, 50-59 and 60+). Registration for both the marathon and the half marathon was capped at 250 participants, and the half sold out. For those who may not know, Aspen was founded in 1880, located 7,908 feet above sea level and surrounded by the White River National Forest. Aspen is internationally renowned as a winter and summer resort with access to innumerable streams, peaks, trails and every type of outdoor sport, and Aspen’s cultural, intellectual and dining options rival those of major cities. 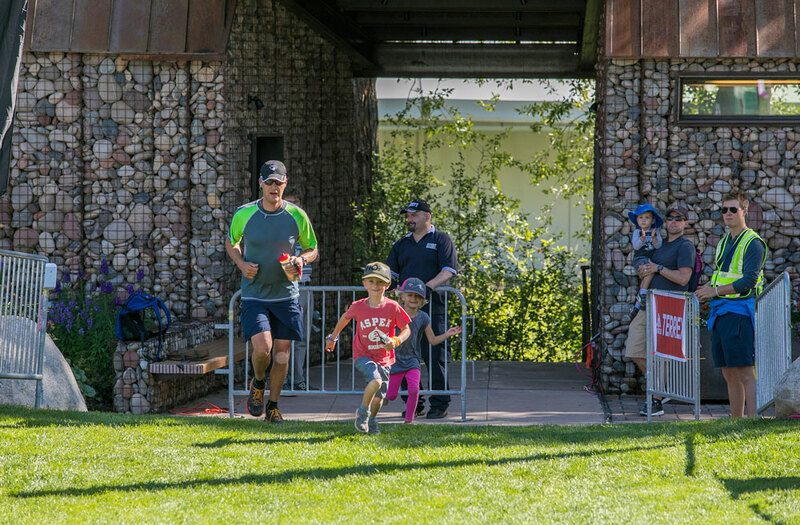 This is one of the most family-friendly race events I’ve ever experienced, and everyone I chatted with at the finish echoed the same sentiment; yet it still manages to attract elite racers and serious mountain athletes nationwide. The race follows Leave No Trace (Center for Outdoor Ethics) principles as a “cupless course.” The finish line featured The Rotary Club of Aspen’s annual Ducky Derby celebration including games, food and drinks (every entrant got a food truck coupon and free beer), a Finish Line recovery tent, beer by Aspen Brewing Company and local retailer and sponsor tents. I took advantage of a free massage from the Aspen School of Massage Therapy, watched kids shredding in the adjacent skate park, and soaked my feet in the stream while sipping an Ajax Pilser, soaking in the views of the Elk Mountains in the distance. I was just happy that my worst fears had been avoided, and I was already looking forward to my next run, which would come two days later in the Maroon Bells Wilderness I could see from where I sat. 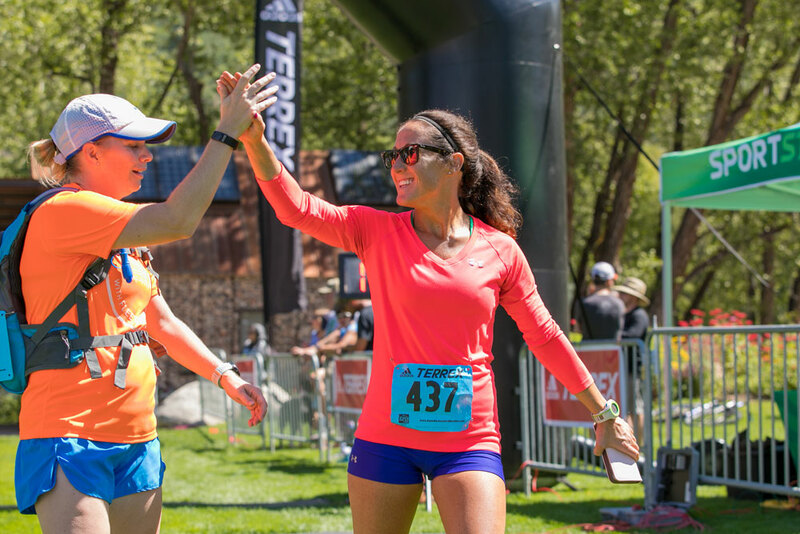 Check out this video to see the course and all of the fun at this year’s Aspen Backcountry Marathon.